How lavish E-Money house and cars are? Check out now! E-money is a prime example of a talented figure who has conquered challenges on different fields. He is not only a popular music star in the entertainment industry but also a successful tycoon, which builds him a portrait of an idol that every Nigerian loves and follows. Just have a look at E-money house and cars, you will know how affluent he is and how arduous his life has been to make a successful E-money of the present. E-Money was born named Emeka Okonkwo in Ajegunla, Lagos. The nickname that people are accustomed to when referring to him is for his hobby of sharing his life on social media which opens an extremely luxurious look of his life. For that reason, people call him E-Money. 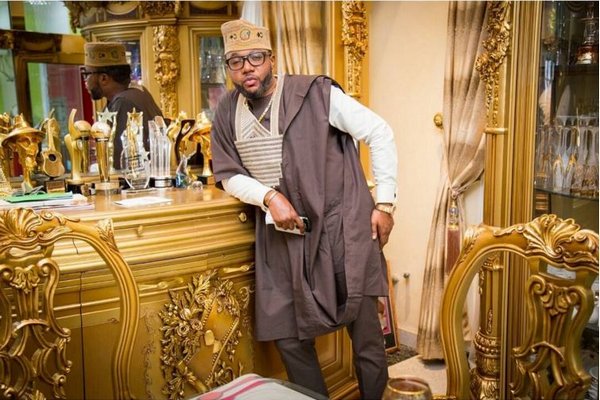 E-Money is the younger brother of Limpopo hit owner, Kcee. Born on February 18, 1981, the celebrity is now 38 years old. He has been married for 9 years with Juliet who he described as a non-materialistic and God-fearing woman, a sterling match God gifted him. The couple has 3 sons. Speaking of his beloved wife, E-Money shared she was there when he was doomed, looking for his ways on building his business career with nothing secure in his hands. It was in 2003 that Juliet met one of the most affluent gentlemen in Nigeria. E-money is grateful for that marriage and a call that he believes his life would not be the same without them. After his wedding, the new bride and groom made their way back to Lagos. Then, E-Money received a call offering a $2m contract. The musician always keeps this life-changing moment in mind to recall every time he has a chance to share. “We were on our way to Lagos when I received a phone call informing me that I had been awarded a $2 million contract and that is how our lives changed forever”, he spoke in an interview. While his family settles down in the United Kingdoms, E-Money sees himself hectic with business matters in Nigeria. He only reunites with his wife and sons on a regular basis of every other week. Born to a DJ father who managed the family’s finance by his CD selling business in Ajegunle, Emeka also had his older to teach him ample things for his successful life in the future. 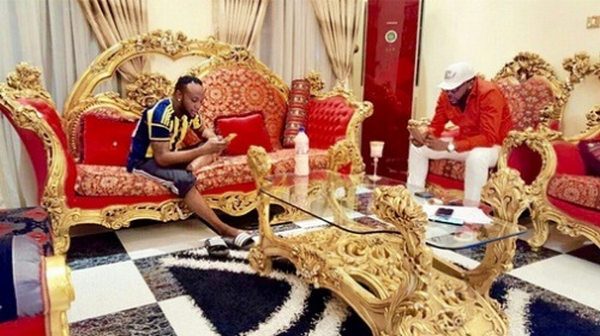 While learning how to do the business from his father, Emeka must have emulated a lot from the brother who later become a famous musician Kcee. At the age of 16, Emeka had embarked on his first business bet, opening Borisa Nigeria Ltd. His business earned not much prospect until 2013 when he met the love of his life Juliet with whose wedding E-Money had a turning point in his career. Up to now, his business and music career has expanded to make him the CEO and chairman of Five Star Group (said to be worth at N500m), EmyCargo, Emy Motors Ltd, and Shipping Services Nigeria Ltd. Apart from those 3 sources of his great fortune, E-Money also tries his hand at real estate, oil and gas industry. Five Star Music is among one of many E-Money’s plans after his business started to soar. It was established in 2010 but not until 2013 did it reached the public craze after the release of the hit “Limpopo” by the most popular singer of the label, Kcee, also his older brother. Very successful singers under the label includes Harrysong and Skiibii, however, both parted with Five Star Music for their own career after the label’s launch. In 2014, Vanguard named E-Money as a billionaire. Reports say his net worth is around N1.5 billion. Who knows it might be even more with his flourishing business in oil, gas, and real estate. Owning a great fortune enables E-Money to buy anything and, of course, spending on luxury wheeled vehicles is just a way to boast his luxurious life. The famous musician has been caught alongside his new 2017 Lexus LX 570. It is believed that the vehicle must have cost him a huge amount of money of about $90 000 (~N33m). Recently, he shares his latest car purchases - a N80m Maybach 62s and a Limousine. They are just two of various pricey cars the businessman owns, for example the Range Rover Sport, many Jaguars, Prado Jeeps, etc. 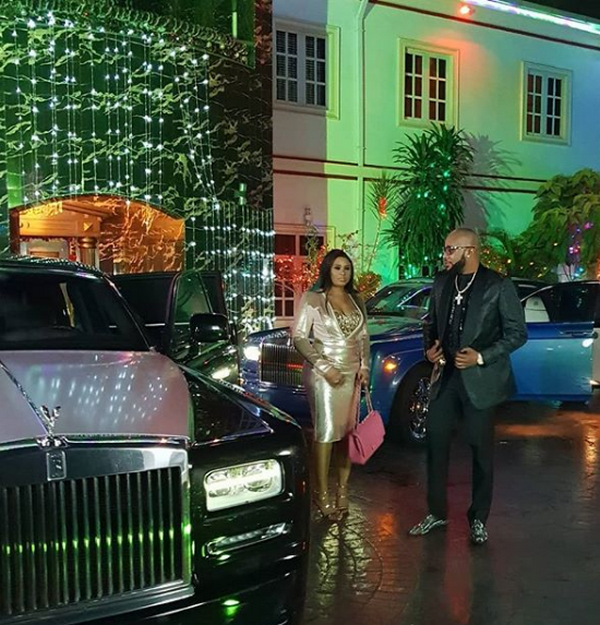 Not only buying cars for himself, E-Money gifted Musician Kcee, his brother, a N20m Mercedes-Benz G-Wagon as a birthday gift or a blue Rolls-Royce for his wife as a Christmas present. Many guess $1m (N361m) won’t be wide of the mark when it comes to the money he spent for these vehicles. 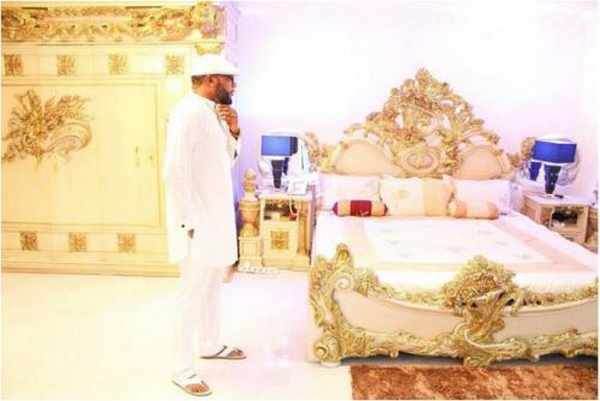 E-Money has got a myriad of warnings from the police not to post photos of his lavish life for that might grab the attention of robbers but that couldn’t stop E-Money house and cars kept updated on Instagram for almost 3 million followers to catch up with. E-Money, the CEO and chairman of Five Star Music, EmyCargo, Emy Motors Ltd, and Shipping Services Nigeria Ltd, has emerged as one of the richest musicians in Nigeria. He is also a big Nigerian stakeholder in transportation, oil production, and gas industries in Nigeria. 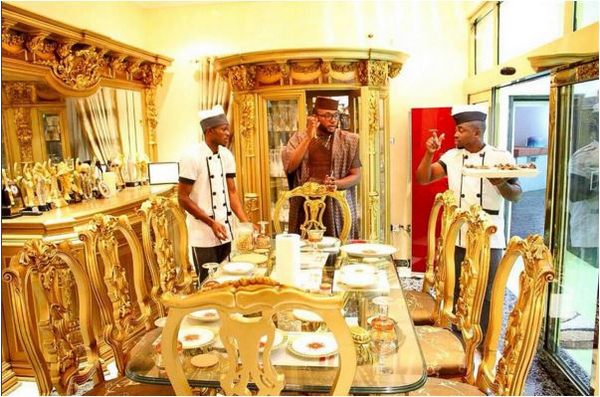 We hope this article has painted for you a picture of E-Money house and cars, and his ways of building a lavish life. Naijauto.com is glad to nurture our readers with helpful news of automotive industry. Make sure to stay tuned with us for latest auto news on the site.